Old liquor bottles, a crazy clown head, racy photographs, classic baseball cards and, yes, even human skeletons. 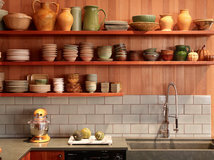 Houzz homeowners have found all sorts of kooky — and valuable — things during renovation projects. 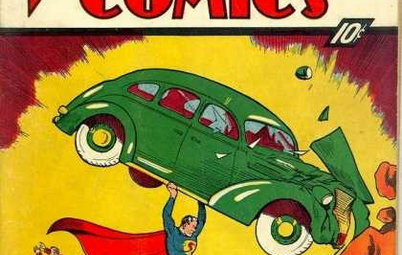 When general contractor David Gonzalez of Hoffman, Minnesota, found a rare comic book in his walls that sold at auction for a reported $175,000, we asked Houzzers to chime in with what they've found buried in their yards or walls or that had simply been shellacked over. 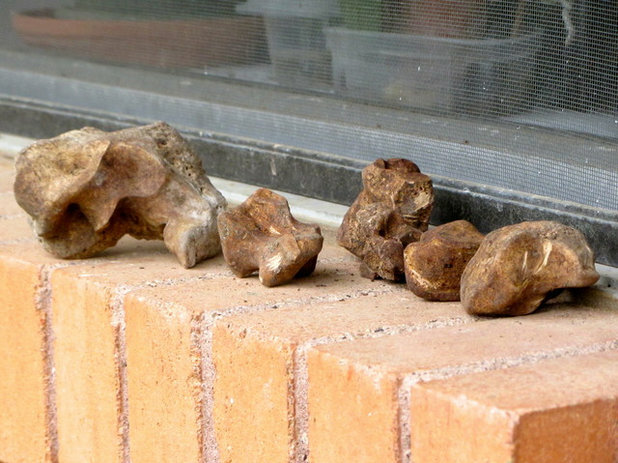 Here are a few things they found lurking in their homes. Love letters. 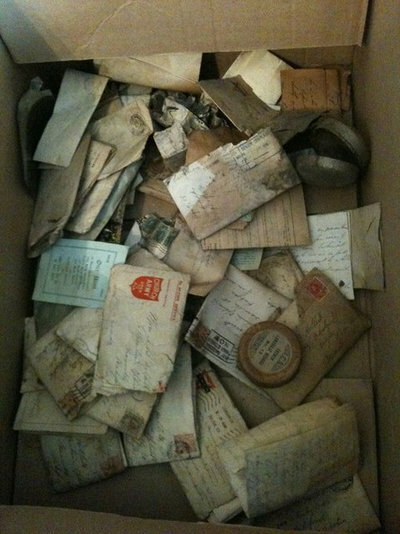 From pattygirly: "We found these 31 love letters written by a soldier while he was in Europe in World War I. The soldier built the house in 1920. In March 2011 my brother cut a hole in the plaster and lath wall to add an electrical outlet and found the wall cavity stuffed with these. They were all to the gal he married when he got home. Some were written from the trenches in France. I traced his family, and they were so happy. The letters are now at Dalhousie University being copied and preserved." Duds behind studs. Sometimes a promising find turns out to go nowhere. User captainsursea equates it to Geraldo Rivera's popping open Al Capone's secret vault in Chicago during a live two-hour special in the mid-1980s. The vault was empty. 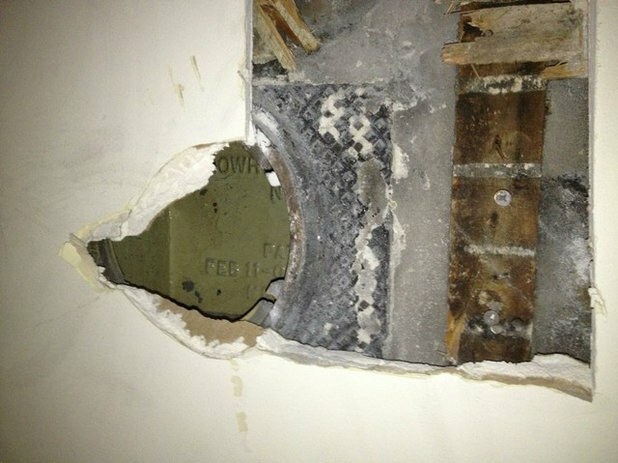 John Mueller had a similar letdown when he found a Lowrie Safe & Lock Company wall safe under the drywall in a two-flat building. "One of the units still had the door on it, but it was already opened," he says. 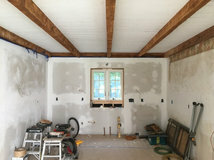 "We were removing some drywall to run the electrical and discovered one safe that had the door removed already and was totally covered in drywall." But nothing was inside. Meanwhile, wyndyacre read in a history book that a time capsule was hidden in a cornerstone of the 1926 schoolhouse that she lived in. 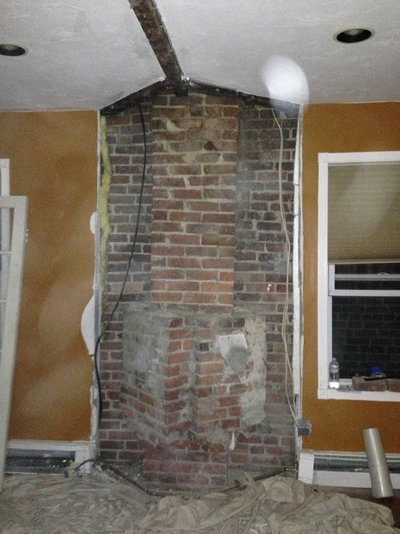 "It took me 17 years to get around to having the bricks repointed, and I had the mason take out the cornerstone to find what might be behind it," she says. "Nothing! How disappointing. 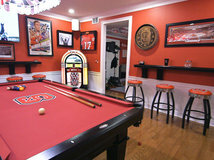 But I assembled a waterproof package of photos, a letter and some current coins and put them in before sealing it back up — for some future renovator to find." You can't blame mtzchicadee for thinking for a split second that she was about to become a wealthy vineyard owner in Italy. But it was not meant to be. "My husband and I did a massive renovation, and he found this document folded up and stuffed between two beams in the basement," mtzchicadee says. "When I looked at it, before seeing what it was, I screamed, 'Oh, my God! 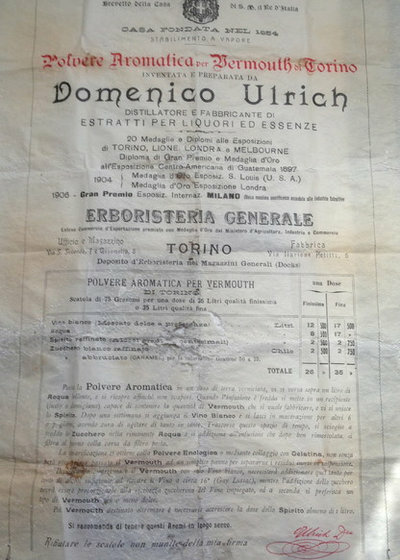 We have the deed to a vineyard in Italy!' (Former owners: old Italian family.) It was a receipt for a wine purchase. The document is a beautiful piece of history that belongs to the house. I will frame it, hang it proudly and leave it with the house if we ever sell." Vice city. I'm convinced that our country's infrastructure is being held together entirely by cigarette butts, beer cans and liquor bottles. These homeowners would probably agree. From futurepassed: "While renovating a 1910-era three-family house in Hartford, Connecticut, I found a Mecca cigarette box on top of the foundation wall in the basement. 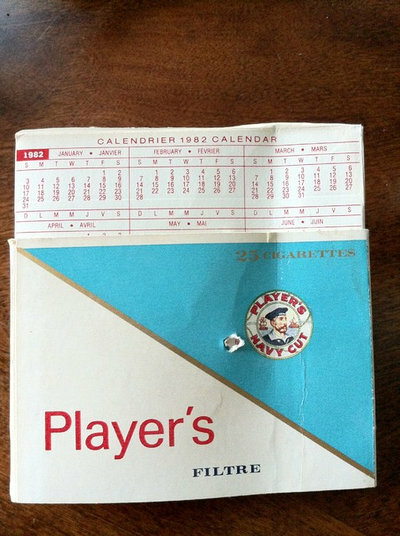 Baseball cards were often supplied in these packs. There was a lot of anticipation as I opened the cigarette box, hoping to find one of those rare and valuable old cards. But, alas, the box was empty! 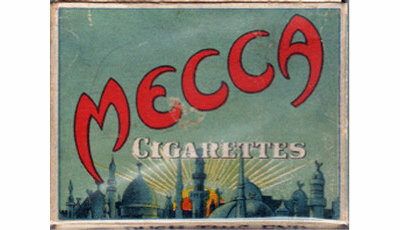 The Mecca cigarette box may be worth $50 or so." From Sophie: "Although it didn't have any value other than to show that the builders had a bad habit, we were amused to find this 1982 pack of cigarettes inside the wall when we renovated our kitchen." 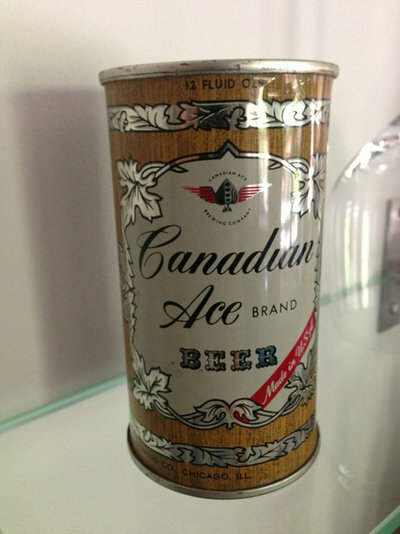 From erplaut: "Built in 1950, a bedroom in my house revealed this empty beer can from a now-defunct Chicago brewery. 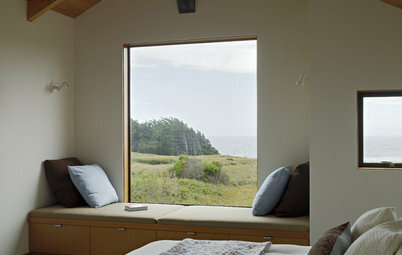 I'm betting the carpenter who left it behind a wall of built-ins had them dotted throughout the North Shore." From mariadgs: "Our house was built in 1905. 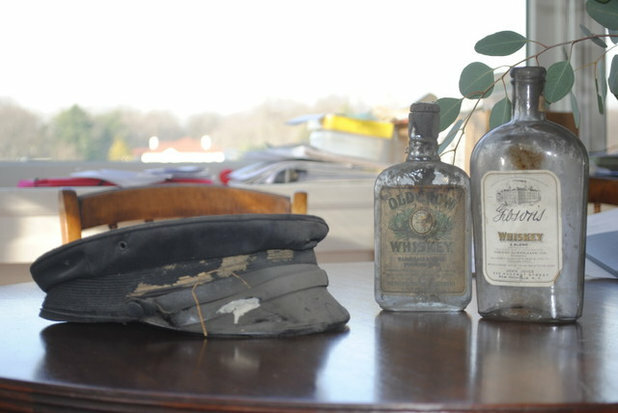 We found these items in our little carriage house behind the wall. I hope the chauffeur wasn't drinking and driving." Now, you might be wondering what type of person is leaving these kinds of things behind. 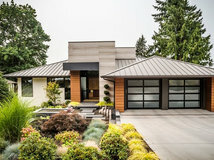 General contractor and Houzz contributor John Whipple offers some clues. "I have left many time capsules over the years, and one year we left behind two mini bottles of Scotch and two buy-and-sells," he says. "I'm hoping to get a call one day down the road, since I taped my business card to the scotch with a note that says, 'Call Me.'" Collectibles. 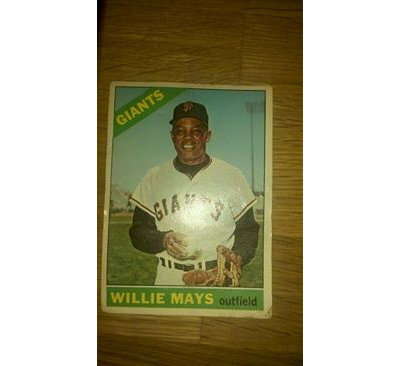 From Leslie Granger: "When we tore up the floor to get back to the original floor of our 1920s farmhouse outside of St. Louis, we found a Willie Mays baseball card under the subfloor. Haven't sold it. It's from 1966, which must have been when they put in the linoleum floor." Art. 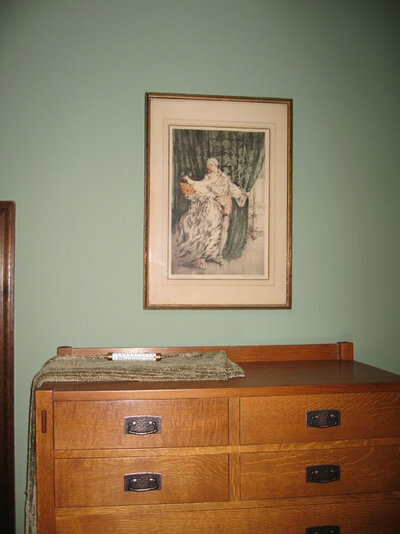 From susan148: "Our first house was an 1898 Queen Anne Victorian style. Way back in an unfinished part of the attic behind a chimney we found a signed and numbered Louis Icart etching. 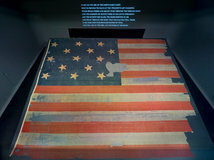 It has gone with us wherever we moved, and we have had it hanging for the past 40 years." What is it? 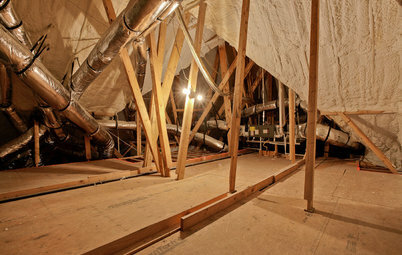 Many of the things homeowners have found baffle them — and us. This was found "behind a weird triangle wall area in our row house built in 1900," says Chambers1589. "What is it? I have no idea." But Laurie Landry's discovery of a clown head in her 1967 Georgian home is one of the creepiest things I've seen. 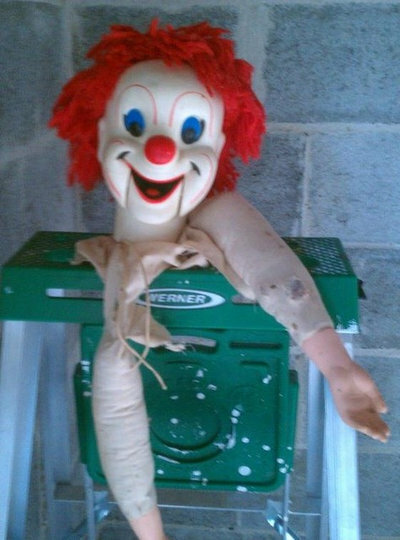 Why did the homeowners have this? Bones. 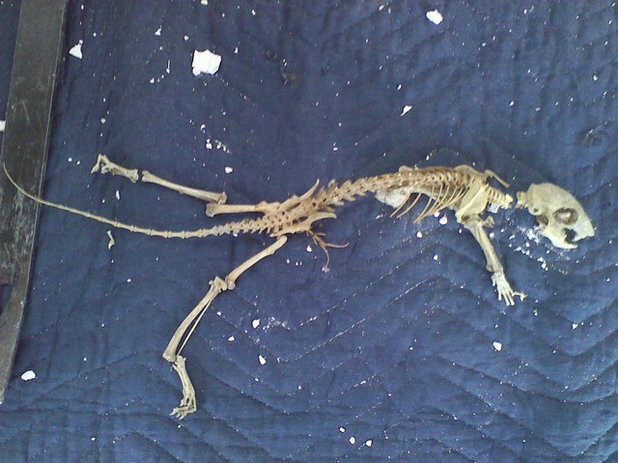 Speaking of creepy things, many homeowners have uncovered skeletons during renovations. 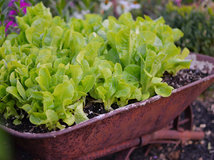 When aswedishelf bought a 1966 ranch house last summer, he began spending a lot of time cleaning up the neglected yard, uncovering old bottles and fireplace grates. "The creepiest find for me were some very old bones," he says. "I joked when I bought that house I would probably find a body when cleaning up the yard, but I was only joking. As best as I can figure, they are part of a cow's tail and the sacrum. I took the bones to a local museum, but they aren't sure what they are, only they aren't human. The bones are almost fossilized and are probably 50 to 60 years old." 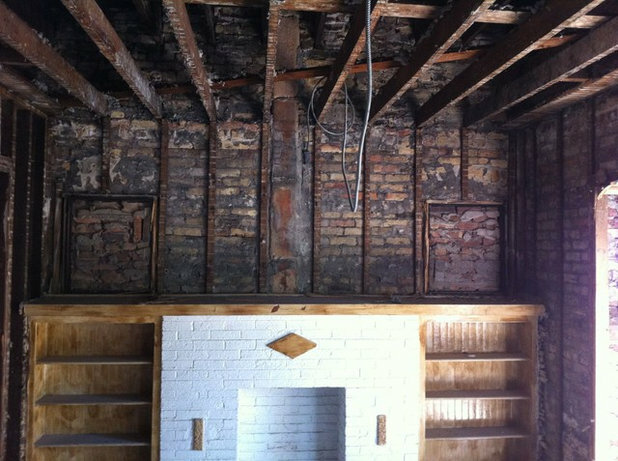 Thorson Restoration & Construction's carpenters found animal bones in the walls of a recent renovation on Cape Cod, Massachusetts. 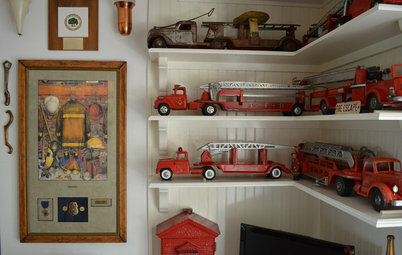 "Although not antique or of value," the company says, "it goes on our list of weirdest things uncovered in demolition." 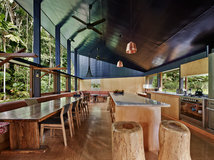 But lk_designs takes the bone-collector award; friends uncovered a human skeleton while renovating their Australian house, whose wooden stump foundation had to be replaced. 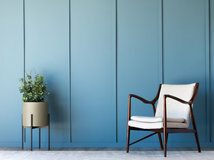 "Because there was very little clearance under parts of the house to get to the stumps, the builders had to go through the floor, which meant pulling up the floorboards, lk_designs says. "They found a human skeleton, much to everyone's horror (and excitement). There was no flesh on the bones, but because it was very dry, the skeleton was well preserved and to a great extent so were the clothes. The clothing was identified as cotton, and old predecimal currency coins were found in 'his' pockets. Yes, the skeleton was identified as male and the clothing was a man's. Australia brought in decimal currency in 1966, so the skeleton had been there for at least 46 years, if not a lot longer." Jewelry. From hotondesign: "My in-laws had purchased a home in Bel Air, California, that was built in 1926. It was considered a teardown by the Realtor who sold them the home. 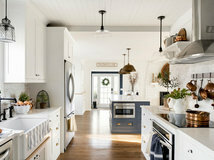 My in-laws remodeled and renovated the home, which had been featured in Architectural Digest in 1926. "During the construction they found all kinds of stuff. In the master bathroom, my mother-in-law was laying on the floor playing with her dogs when she noticed the bottom of the vanity had an odd-looking base. 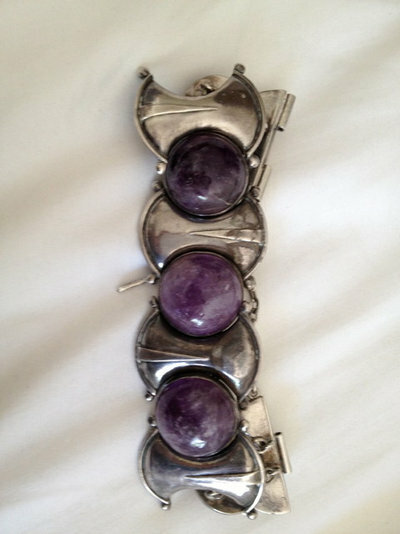 When she pushed on the wood it opened, and there was all kinds of beautiful vintage jewelry from Mexico, silver bracelets with amethysts, earrings etc. Then when cleaning out the five fireplaces — where the ashes went to the cellar — they found all kinds of items that were discarded into the fire that didn't burn. They found a Brown Derby match book, an invitation to a Roy Rogers party and a small ring box that looked as if nothing was in it. But stuffed in the top was some folded wax paper. Inside that were three small rubies." Architectural details. 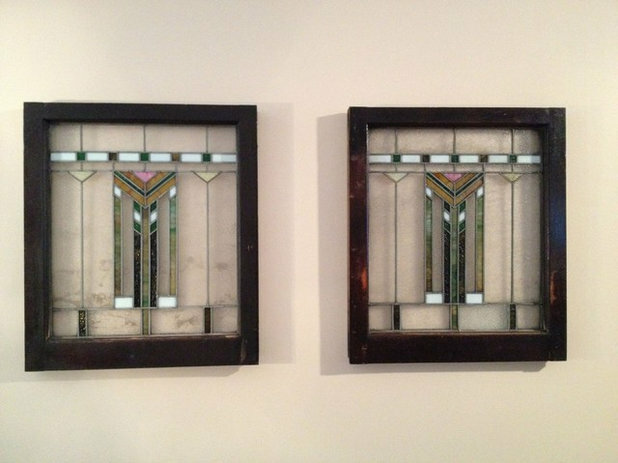 From John Mueller: "We found two stained glass windows encapsulated in a wall — they had been paneled over on the inside and bricked up on the outside. 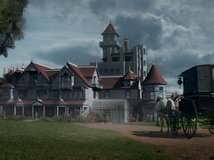 The home was built in the early 1900s." "The stained glass windows are of a style called "Chicago Prairie," which is very popular here in Chicago," Mueller continues. "I had a stained glass window repair shop look at them, and he didn't think they were anything more special than very old windows." Money. 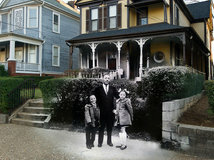 From Cynthia Celenza: "My husband renovates homes for a living. 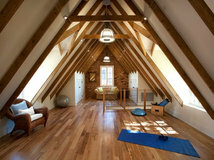 He was working in a home just purchased by a young couple with two small children. The electrician on the job was working to pull wiring and couldn't figure out why the wire would not work through. He went up in the attic and found a box that was blocking the wiring. Inside he found love letters from the '60s and $10,000. "From reading the letters they pieced together that the man who had once lived in the house was having an affair with the woman who lived next door. They planned to leave their spouses and run away together, but then the man died suddenly. Since no one knew of their secret stash, it remained hidden until the electrician found it. He gave box to the young couple, who needed the money badly for their children's medical care (both children suffered from lead poisoning from their previous home). 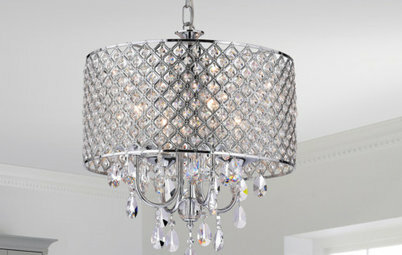 They gave the electrician a $1,000 finder's fee." From kredd02: "When my husband and I bought our first house, I was painting above one of the windows and thought I dropped paint on the trim. I looked down, and in between the mini blinds I found two coin purses. When I opened them, there was $1,500 in total. 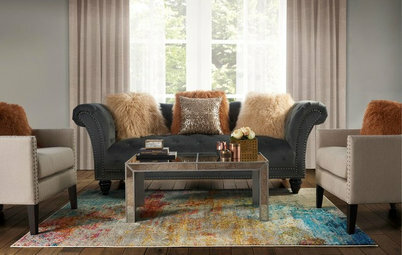 That helped us put new carpet in." Va-va voom. From John Whipple: "In my home we found one of the first Penthouse Forums. That was good for a laugh. 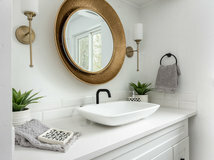 'Dear Penthouse, you would not believe what happened to me today building this new steam shower ...'"
From Houzz community manager Emily Hurley: "My sister opened a cupboard in her basement, and an old pinup from the '30s was attached to the inside." From stepi: "In the insulation material of our attic, we found three drawings of naked women made by the former owner's firstborn son in 1952. 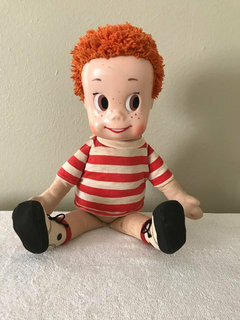 When we told him over 40 years later what we found, his face still turned red." Did you home have any surprises for you? Tell your story below! Restoring our old New England Colonial, we found, recently, a cache of hidden shoes. 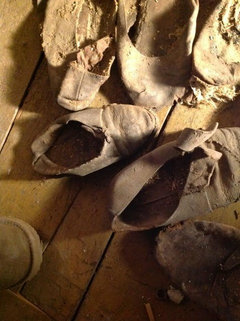 In doing research we see that shoes were often concealed within the walls of a home, strategically, to ward off evil spirits and promote fertility. We've been in contact with our local historical society. There are 30 shoes, all stacked up together along the length of one short wall next to the chimney. 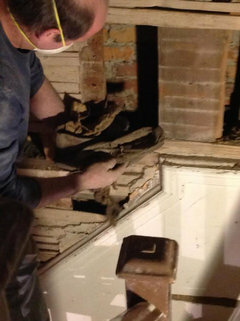 We're going to replaster this area using the old hand split lath and we'll put the shoes back before we plaster. You should save a pair of those shoes (after finding out how old they might be) and put them in a shadow box near the wall where the others will be stored. 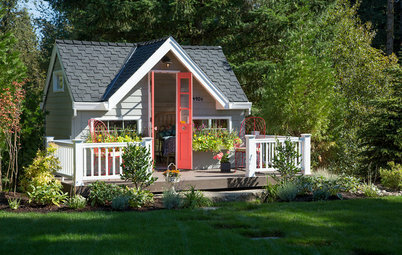 Fun Houzz Houzz Call: What Home Collections Help You Feel Like a Kid Again? 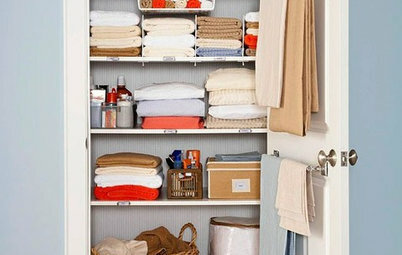 These 20 tips can help us all make the best use of a precious resource. 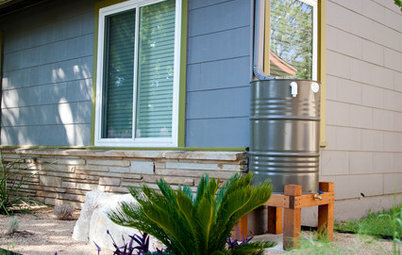 How do you save water in summer?